Greece has always been a mainstay in my travel bucket list. I daydream about it and start making plans... because you'll never know when the universe hears your dreams. 😉 So here's a 48-hour travel itinerary designed for a quick vacation in Athens. 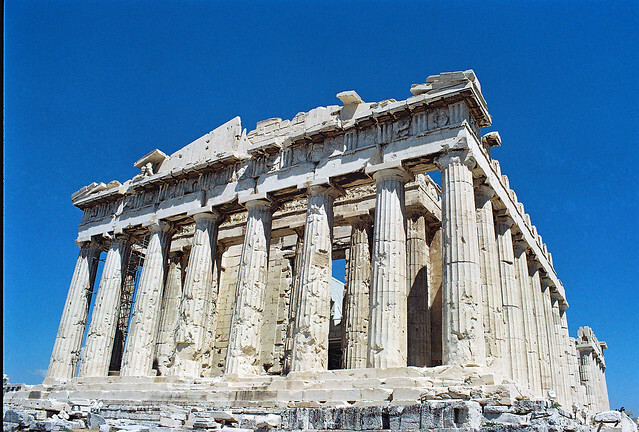 Greece is all about fascinating history, ancient architecture and spectacular views. If you have just 48 hours in Greece, you need to plan your day in such a way that you enjoy the best of food and culture. The right way to have it all is to rent a house in Greece and spend the time in the lively Greek capital, Athens. There are many extraordinary things to do in the bustling metropolis that one can really soak up the best of the Greek experience. The lively city is both ancient and modern. There are incredible things to explore in Athens, and one can look forward to creative sightseeing and experiences. There are still many reasons to visit Greece. The great food, superb mountain scenery, and stunning beaches are hard to explore. Just carry enough water and wear sturdy shoes and light clothes. After all, you should feel comfortable and make the most of those 48 hours in Greece. Once you arrive at your hotel, have a good night sleep and relax completely for the great experiences that await you in the next two days. 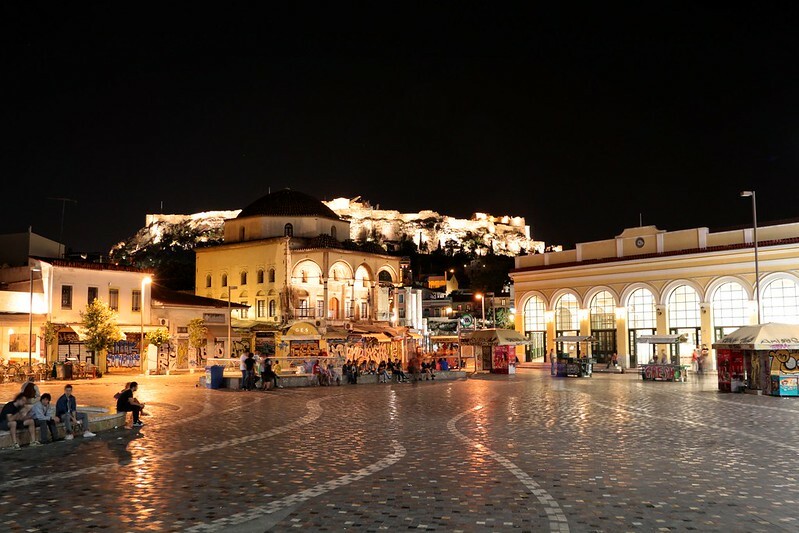 Start your day early and wander in central Monastiraki Square which is a colorful market. You can take a quick break here and enjoy a quick drink. Avissinias Square is the center of Monastiraki's antique market and is an excellent spot for browsing traditional furniture. Walk past Hadrian’s Library and go south on Dioskouron towards the city’s focal points, the Roman Agora. You can still see the grand marble clock tower The Tower of the Winds. Roman Agora is located on the northernmost side. It was once a hub of activity for the Ancient Romans and was used as a market. You can head towards the west on Polignotou and go around Areopagus Hill. Make a visit to the Acropolis Museum. Designed by architect Bernard Tschumi, the design of the museum recreates the landscape of the Acropolis. The treasures displayed on the sloping galleries are from the hillside while the Parthenon Gallery at the top evokes the scale of the marbles. Get majestic views of the ancient monument from the restaurant. You can climb through a broad pedestrian avenue through the pine woods on the south slope of Acropolis Hill. Visit the Dionyssiou Areopagitou and the Ancient Theatre of Dionysos, which is the oldest surviving theater of the world. 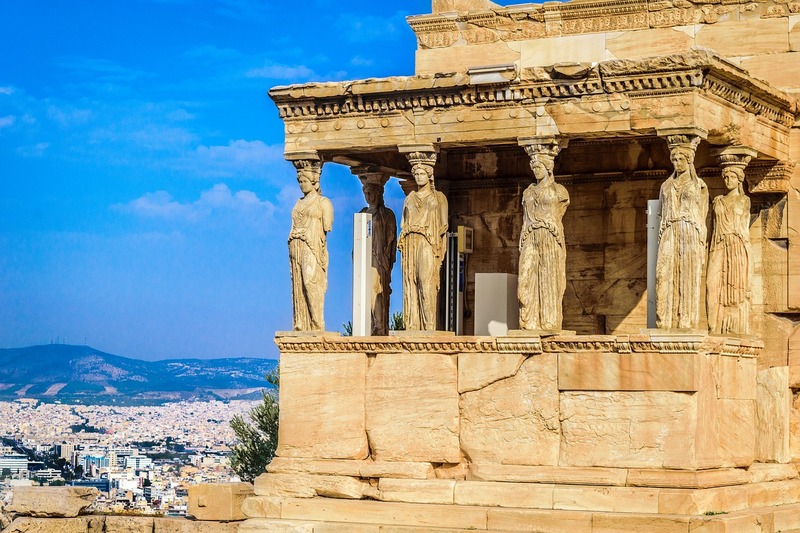 You need about 2-3 hours to explore this craggy land and if you still have time and energy, make way to the temple to the city’s ancient goddess, Athena, the Parthenon. Just enjoy a cup of coffee in Athens’ best museum cafés that have both indoor and outdoor seating. There are several eateries nearby, but Yard Café is a popular spot. After reading for some time, you can have a look at the Le Chocolat – Matsouka, which is a hive of Greek produce and fancy chocolates. Go through the picturesque Filopappou Hill, which is located towards the buzzing area of Koukaki. The National Museum of Contemporary Art is located inside a former factory and is a popular spot for fashion and design lovers. Enjoy watching endless people in the bars and café and pick a snack here. Later, you can wander in Plaka that is filled with endless souvenir shops. Explore the maze of narrow streets and take shots of the pastel-colored houses covered with bougainvillea. Shop at those interesting Greek design shops. 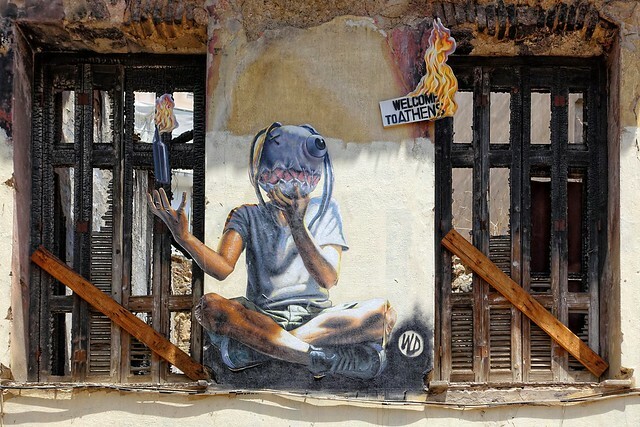 You can visit Exarcheia, which is an artistic neighborhood and is very exciting to explore. Walk through the neighborhood to come across endless galleries and vintage stores. There are many food options, and a popular among the tourists is a narrow lane of Herakleidon. Psirri offers a maze of restaurants that offer both traditional and Modern Greek fare. You can later wind down with a drink at one of the rooftop bars and enjoy picturesque views of the city and the Acropolis. It is a must to visit the Acropolis. The next day, you can spend the morning relaxing on the beach. You can try windsurfing or ride the waves. Astir Beach is highly recommended for those looking for a luxurious beach experience. After some time, you can head towards the mountain of Parnassos and explore historic gorges and caves. Take off the beaten path and enjoy a picnic in a sheepfold. If time permits, you can take a short ferry ride from Athens to nearby picturesque islands. During the latter part of the day, you can escape to the countryside and visit an organic farm. This is the right way to get up close and personal with Greek gastronomy. You can feed the animals and pick your vegetables. Enjoy food made with the fresh ingredients you picked and enjoy an unforgettable experience. Explore Athens nightlife and the best of Athens bars and clubs. 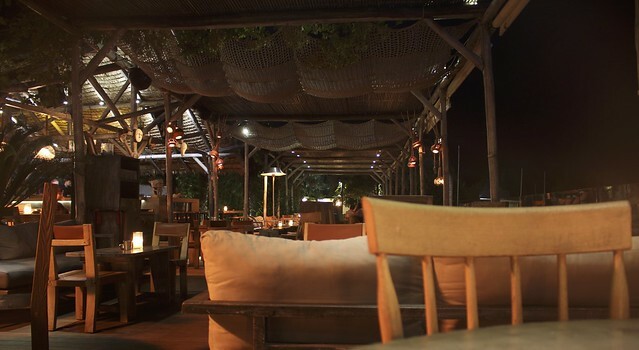 You can enjoy some live entertainment at Estate Seaside or opt for an early cocktail by the sea at Balux Cafe Seaside. Late at night, you can visit the seaside and enjoy a fish dinner or a traditional Greek meal. 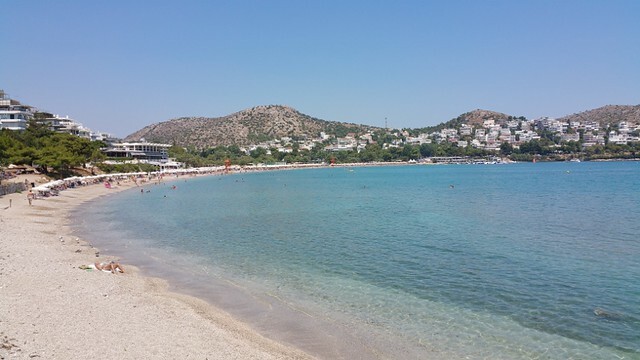 Stroll on the beach as your 48 hours in Greece come to an end. I am yet to visit Greece, but I'm pretty sure that when I finally do, I will be filled with a longing to come back over and over again. I'm pretty sure there are always incredible things to see and explore here.